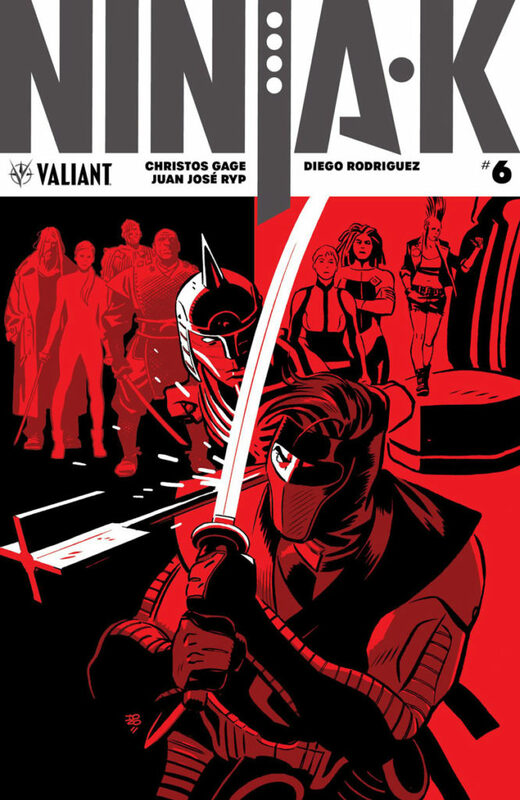 Valiant is proud to present your first lettered look inside NINJA-K #6 – the FIRST ISSUE of “THE COALITION,” AN ALL-NEW ARC and SENSES-SHATTERING JUMPING-ON POINT from renowned writer Christos Gage (Netflix’s Daredevil) and eye-popping artist Juan José Ryp (BRITANNIA)! 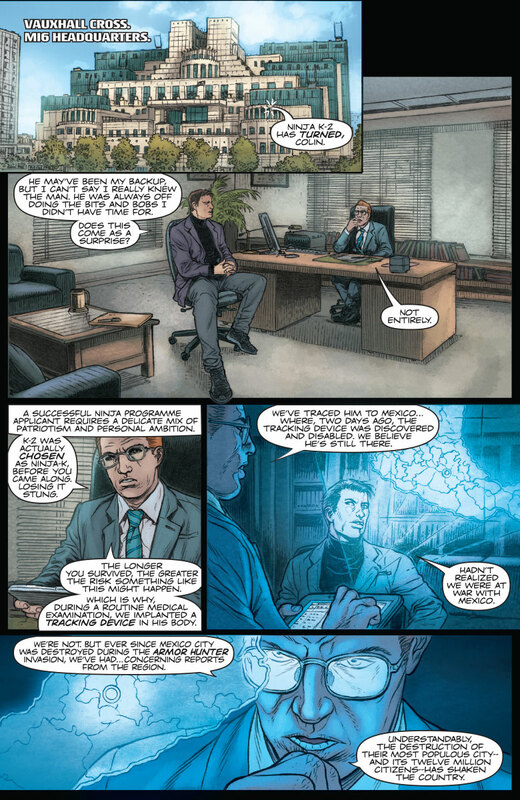 On April 11th, the Valiant Universe faces its most indestructible threat yet – and master super-spy Colin King must rise to meet the challenge with a brand new strike force of his own! Plus: don’t miss the thrilling conclusion of “THE NINJA FILES” this week in NINJA-K #5! 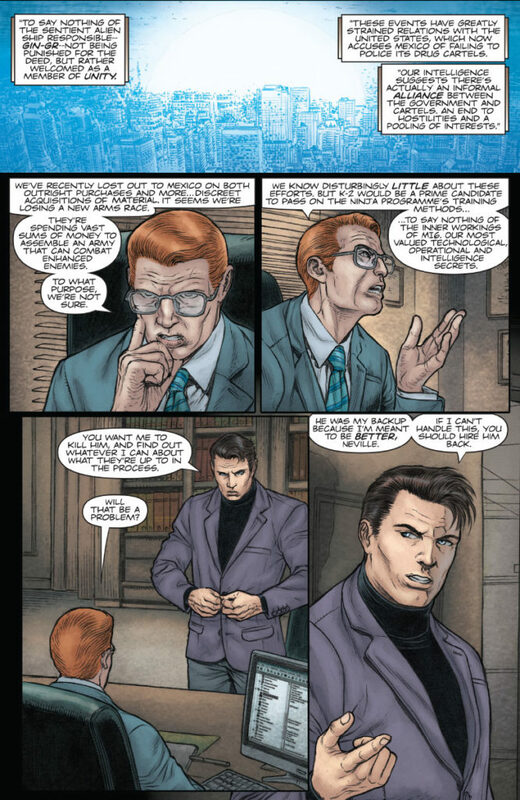 The murderous assault on MI6 has spilled out of the shadows and onto the streets of Britain’s capital! 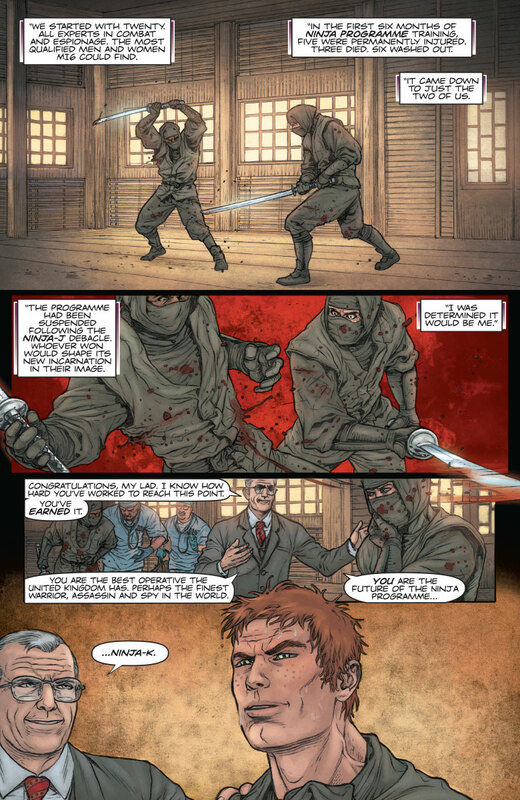 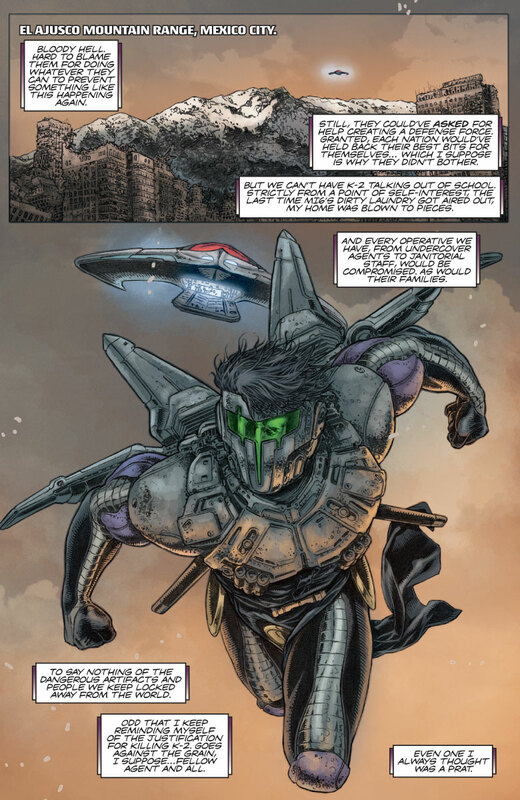 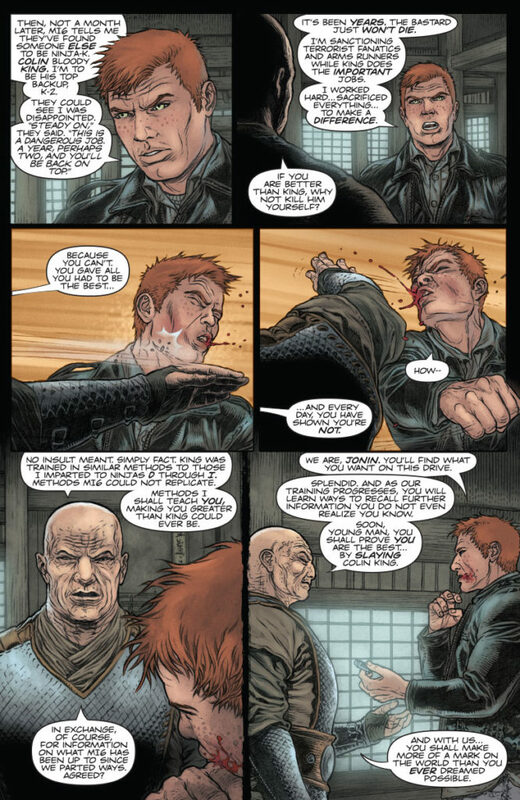 With his would-be killer unmasked, can Ninjak grapple with the truth behind the bloodstained legacy of MI6’s covert Ninja Programme…and an opponent with more experience, more precision, and more ruthless instincts than any he’s faced before? 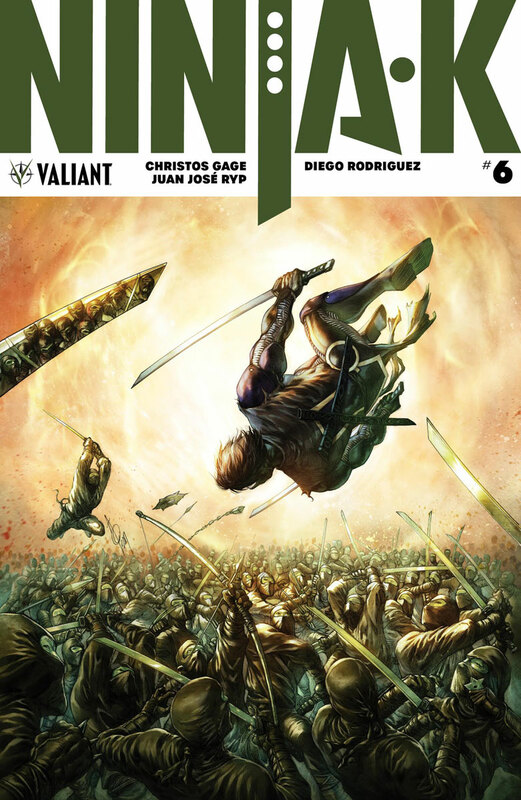 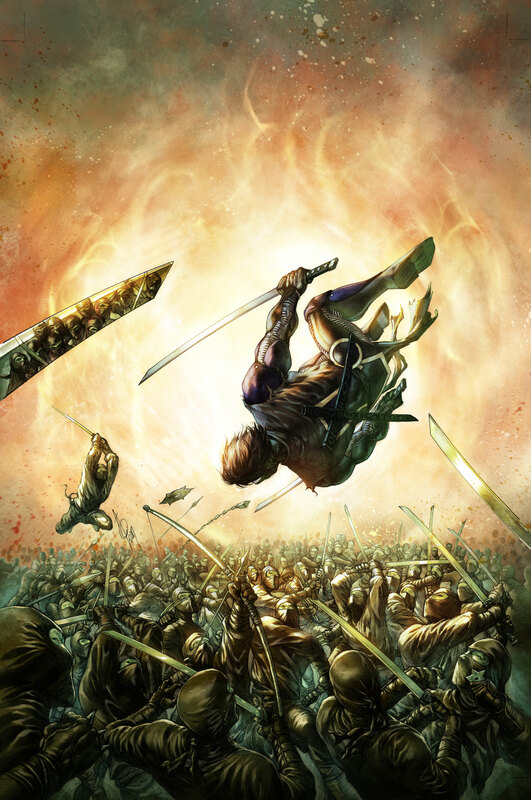 On March 21st, acclaimed writer Christos Gage and superstar artist Tomás Giorello unlock the secret of “THE NINJA FILES” as Colin King dares death onward in NINJA-K #5 – with covers by Trevor Hairsine (DIVINITY), rising star Lucas Troya, Kenneth Rocafort (The Ultimates), and Philip Tan (Suicide Squad: Rebirth)!